In 2018, a very important musical story reaches its final chapter. 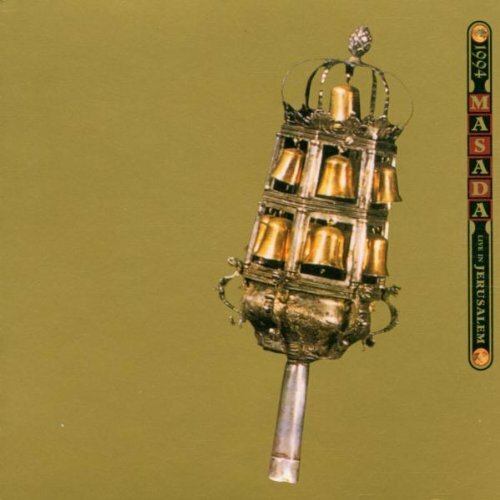 For 25 years, John Zorn’s Masada has been one of the most consistently exciting projects in the music industry. In his last songbook, The Book Beriah, the legendary composer concludes his exhaustive study of “new Jewish music” with 92 compositions over eleven albums, presented by some of the world’s most accomplished musicians. To celebrate the event and pay tribute to one of my favorite projects in music history, I will be hosting my own Masada Marathon, with reviews of every Book Beriah record, interviews with some of the musicians as well as Masada-related articles and other goodies. I’ve decided to kick off the series with a special article: a sort of beginner’s guide to Masada. Spanning a vast number of recordings, released over a quarter of a century, finding a proper entry point into this monumental opus could prove difficult. As a longtime fan of the project, it was my ambition to present a sort-of rundown of the last twenty-five years, in preparation of the third book. This article is not a best off, nor is it (necessarily) a collection of my favorite records! Initially, I was tempted to call it “The Essential Masada”, but I changed my mind, because that would suggest that some records are more important than others, which is simply not true. Masada is more than a songbook or a work of music: it is a story – a story with many layers, many characters and themes and important events. Perhaps, as a professional storyteller, that was why I resonated with it so strongly. Like all the world’s best stories, Masada has something for everyone and people will find themselves drawn to different aspects of this colossal work. “Then what exactly is this article?” you might ask. Well, it can be the starting point of a cool Masada collection. For people unfamiliar with the project or just very new to it, this could be a sort of proto-collection, which they could either keep as-is or expand into something to fit their own personality (or even achieve the admirable task of owning every single Masada work in existence). For longtime Masada fans, it can simply be an opportunity to reminisce about the long history of this project and remember some of its many important moments. For me, personally, this article – as well as the entire Masada Marathon – is just a way to give back to a musical entity that has, over the last seven years, enriched my life and my understanding of this great art form. Initially, I was going to select eleven records to reflect the number of albums in The Book Beriah, but I felt the need to expand it, so I settled on a dozen (kind of – you’ll see). The original Masada quartet still remains my favorite incarnation in the project’s twenty-five year history. The band is nothing short of phenomenal, with a rhythm section consisting of the incredible Greg Cohen (whose work I’ve been covering for over a decade, ever since writing my Master’s thesis on the music of Tom Waits) and Joey Baron (my all-time favorite drummer) alongside the supremely talented Dave Douglas on trumpet and, on saxophone, the mind behind Masada himself – the legendary John Zorn. This is the line-up that changed the history of modern jazz music. The value of their contribution to the global songbook just cannot be overstated. One of the highlights of my life was catching this quartet live at Porgy & Bess in Vienna, during the Bagatelles Marathon. For my Core Collection, I’ve chosen three live recordings, just because I feel that the energy of Masada translates best to a live rendition, with the audience’s raucous applause in the background. Between them, these three records contain around 40 different tunes, of which five appear in more than one version. Released in 1999, the first record, Live in Jerusalem 1994, documents the nascent quartet’s visit to Israel and first appearance at the Jerusalem Festival. Given the nature of this project, this is not only a relevant chapter in the band’s history but also an opportunity for the listener to follow their evolution from its beginnings to its years of maturity, an evolution that becomes immediately evident in Live in Sevilla 2000 and Live at the Tonic 2001. A precursor of sorts to The Book of Angels, The Circlemaker was one of the first records to expand the Masada universe beyond the original quartet. This absolutely superb double album features two key elements of what would later practically become Masada “mythology”: the Masada String Trio (Mark Feldman, Erik Friedlander and Greg Cohen on violin, cello and bass respectively) and the Bar Kokhba Sextet, which consists of the String Trio plus Marc Ribot (guitar), Joey Baron (drums) and Cyro Baptista (percussion). Following in the footsteps of its predecessor Bar Kokhba (the record, not the sextet), the Circle Maker opens the original Masada compositions up to new interpretations and new forms, setting it free from its initial Klezmer/Coleman concept. While virtually all of the other records on my list can be rearranged and switched with others in the catalog to create perhaps and equally comprehensive list, this is the one album that I feel must be part of any true Masada collection from its incipient stage. Simply put: a must-have! The first in a series of five records released to celebrate the 10th anniversary of Masada, this wide-ranging album contains twenty-one tunes from the first book reimagined for solo guitar by three of the best in the business today: Marc Ribot, Bill Frisell and Tim Sparks. Featuring mostly acoustic versions, the album switches between the players, masterfully highlighting their individual expression while also keeping in focus the thread that unites them. This album as a whole is distinguished primarily through what it represents: an extremely delicate collection of songs, something that can’t often be said of the Masada repertoire. Even in such a vast project, presenting so many different artists and styles, Mycale is truly one of a kind. At once the most unusual and spellbinding of the Masada manifestations, this a cappella quartet, comprised of some of the most talented vocalists walking the face of the Earth today, is a universe all of its own. Featuring the talent of Ayelet Rose Gottlieb, Malika Zara, Sara Serpa and Sofia Rei (whose latest release was The Music and Myth’s Best Vocal Record of 2017), Mycale feels like the most coherent Masada formation aside from the original quartet itself. Uniquely fitted to convey the songbook’s mystical undertones, the angelic voices of the vocalists, who sing in various languages (Portuguese, Berber, Hebrew, French and Spanish) represent perhaps the purest expression of the spirit of this second songbook. I chose Gomory for the fluidity of its message, a result of the symbiosis between vocal technique and an aura of mysticism, developed by the musicians after years of performing together. An absolute gem! One of my personal favorite albums in the Book of Angels, Cerberus, by the high-octane Spike Orchestra, embodies the adventurous spirit of Masada by presenting Zorn’s “radical Jewish music” in a big-band format. Led by trumpeter Sam Eastmond, this Masada incarnation features loud, energetic and unhinged arrangements that somehow manage to remain noticeably reverent towards the source material. Conceptually part of a profoundly spiritual, philosophical and self-analytical body of work, perhaps the record’s most surprising feature is that it’s just straight-up a ton of fun! Speaking of loud, energetic and unhinged, Asmodeus features the power-trio of G. Calvin Weston on drums, Electric Masada’s Trevor Dunn on bass and Marc Ribot abusing his guitar in almost incomprehensible ways. Channeling his Ceramic Dog persona, the celebrated guitarist powers through the record’s ten tracks, creating a post-apocalyptic soundscape formed from the ancient sediments of jazz, blues and metal and haunted by the ghost of Jimi Hendrix. Ribot has always been a visionary and anyone familiar with his vast and eclectic catalog (including, once again, The Music and Myth’s Best Vocal Record of 2017) will recognize the genius in his favored state of mind. With powerful, cathartic performances from every band member, Asmodeus becomes one of the most commanding presences in the entire Masada catalog. On the opposite end of the musical spectrum, Erik Friedlander’s superb, pensive Volac presents the Masada aesthetic at its most tender. In a solo environment that highlights the evocative force of his instrument, the cellist delivers a passionate performance in which he examines the varied expressive possibilities of these compositions and their corresponding emotional states. A thoroughly beautiful recording start to finish. A similarly memorable and passionate outing, the third Book of Angels record, Malphas, is a classical recital for violin and piano performed by a duo with such incredible chemistry their music feels like its own sentient entity. Violinist Mark Feldman and pianist Sylvie Courvoisier bring forth a selection of music that is wonderfully cerebral but also disarmingly lyrical. With a delivery that switches from melancholic to confrontational, from tender to anxious – sometimes at a downright schizophrenic pace – Malphas becomes a testament to the continued creative force of modern classical music as well as an accessible gateway into the world of Masada for the previously uninitiated. Much like Gomory and Cerberus, Koby Israealite’s take on Masada feels unique and enthralling. In a wild and adventurous display of virtuosity, the multi-instrumentalist tackles a plethora of different genres and influences in a studio-heavy approach that is entirely unusual for the Masada project and yet feels right at home among the improvisational craziness. Playing a variety of instruments (everything from accordion to drums, flute and Indian banjo), Israelite creates an impressive musical texture that you could take anywhere from The Stone, to a jazz festival in Vilnius, Lithuania or a Romanian wedding and not feel out of place. Okay, I know that this is technically cheating, but the point of this entry is that either of the two piano-trio recordings can expand this core collection in equal but contrasting ways. Astaroth brings forth some longtime members of the Masada family as well as Zorn’s “inner circle” (Saft, Greg Cohen and Ben Perowsky) playing eerie, mysterious music that creates a seamless transition from the first Masada songbook to the Book of Angels. Its purpose is to be the thread that connects these two chapters. As such, the music is evocative and heavily metaphysical and the record is another one of my personal favorites. Meanwhile, Flaga features a veritable jazz supertrio: pianist Craig Taborn, bassist Christian McBride and drummer Tyshawn Sorey, whose Inner Spectrum of Variables was the Music and Myth’s Best Instrumental Record of 2016. This is the quintessential “jazz take” on Masada, presented by three of the most relevant names in the genre. With an accent on spontaneity and dynamic, the musicians – at peak creative freedom – develop a varied and multi-faceted album bound to exceed the already high expectations of any listener familiar with the musicians’ names and repertoires. Whether one opts for Astaroth or Flaga, the core collection will be expanded in a meaningful way as the Masada compositions lend themselves beautifully to the piano trio form. This is my personal Masada Core Collection – an attempt at a comprehensive guide through the world of Masada. What is yours? There is only one John Zorn and this is a wordpress blog. If I was a thief I woujld steal text and graphics for my music blog at wordpress, http://musicsprings.wordpress.com. This is a beautiful pece of work and at least you have a decent re-blog button. Thanks. Thank you for sharing the article, Richard. I’m glad you enjoyed it. Mark, thank you for reading! I’m glad you enjoyed the article. Yes, I’m familiar with the Masada World site. There’s a lot of great information there. Do you have a newsletter so we can be made aware of when you publish more about Masada? Hi Keith, thank you for you interest in my Masada project. I’m in the process of updating the website and will create a newsletter for it too in the near future, as well as a dedicated Twitter account among other things. For now, you can follow the blog if you’d like. There’s a follow button right underneath the Featured Video. It’s going to be almost exclusively Masada-related articles for the next couple of months. This coming week I’ll have interviews with JC Maillard, who plays the saz bass on Keter (in duet with Sofia Rei) as well as Zion 80s Jon Madof. When the newsletter is ready, I’ll add you e-mail too it. In the mean time, I checked out avantcurious.com. I really the website and your outlook on music. Let’s keep in touch!